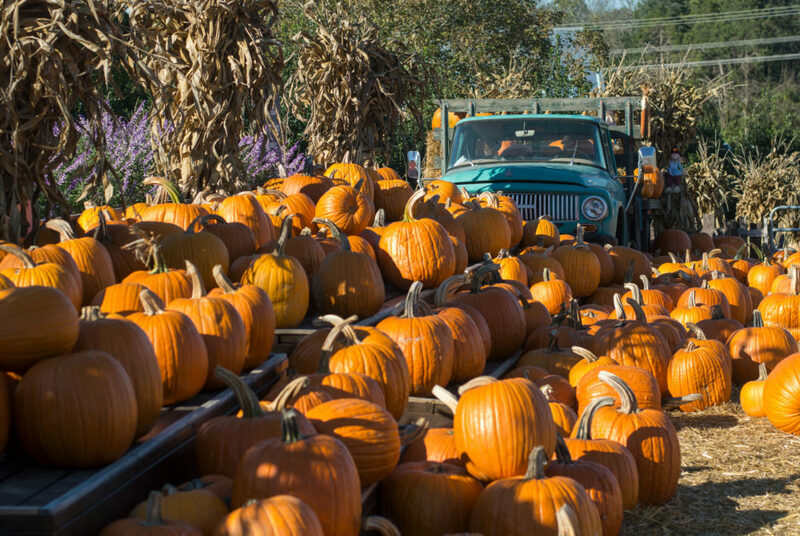 Cox Farms’ Fall Festival in Centreville, Va. features food, attractions and a fall market. 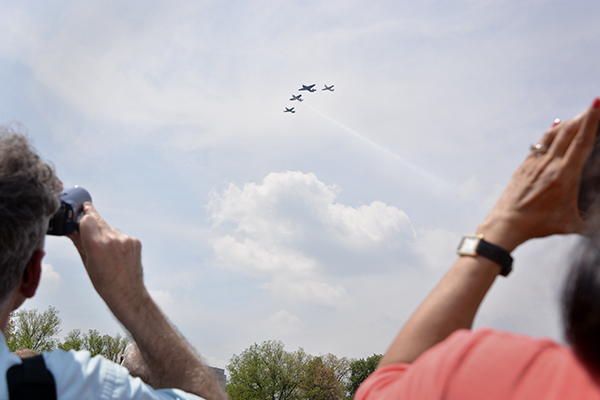 Media Credit: Sam Hardgrove | Hatchet Staff Photographer Thousands of visitors and D.C. residents watched vintage planes from World War II fly over the National Mall on Friday to celebrate the 70th anniversary of the Allied victory in Europe. 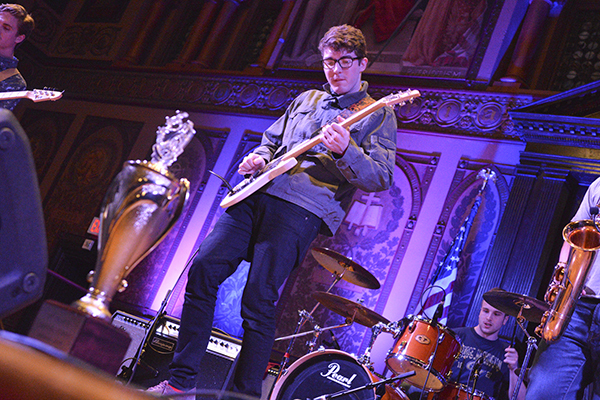 Media Credit: Sam Hardgrove | Hatchet Staff Photographer Bencoolen, a band made up of GW students, won first place at The Capital Clash battle of the bands at Georgetown University. The competition was between bands from GW, American and Georgetown that performed in front of a student audience Friday night. 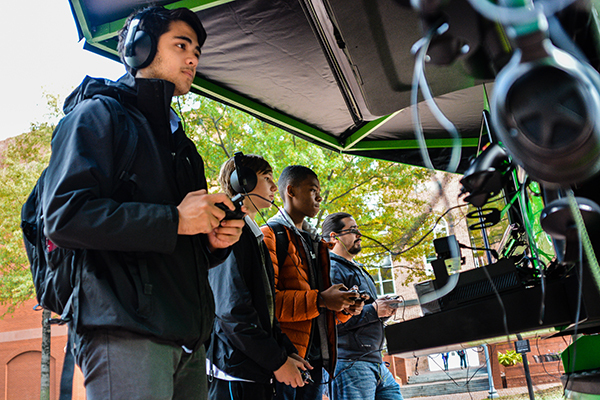 Media Credit: Sam Hardgrove | Hatchet Staff Photographer Sophomore Justin Archangel plays the Xbox One out of a truck in University Yard for a chance to win free games and other prizes. Microsoft launched the Xbox One last November after its predecessor, the Xbox 360, sold at least 83 million units worldwide.